I know that Pilates works for anyone and everyone! Niedra Gabriel currently lives in Ojai CA and teaches in a variety of locations in Southern California when she is home. A major part of her time and focus is hosting retreats and educational trainings, world wide where she covers many topics besides Pilates. Physical exercise is a major focus (Pilates ,Yoga , Restorative therapeutics, Diet and Natural Movement are all covered within her scope of what is needed to optimize health and well being.) At 62 she is a strong advocate of optimizing who you are and taking care of your body. Her philosophy is that many aspects of aging are life style induced limitations – her vision is to support others in living to the best of their choice and abilities. She is a teacher trainer for Mind2boyd.net in Studio City CA, and is often invited to deliver one or more of the week end comprehensive trainings at a variety of studios (In and UP Pilates, Uprise Pilates) She has delivered mat and comprehensive trainings in the USA, UK and St Lucia and is always up for travelling to share her passion in mastering the arts of becoming a teacher. Can you tell the readers something about yourself and your background? Do you own a studio (or multiple studio’s)? If so, can you describe it, where it’s located, what apparatus do you use? How do I describe myself? – I am an avid student of my body and the physical arts, with a BIG vision for the human body and its potential.The happiest times in my life are when I am practicing and in focused training – this joy of being alive in my body permeates all my teachings and inspires me to help others discover just how amazing being healthy, and celebrating life is from a holistic perspective of movement. I have had many evolutions of my career in Pilates: notably I had my own studio in Hollywood for about 10 years , and then moved on to work for Power Pilates as their west coast director. Currently I enjoy developing programs and services and delivering them in retreat format. I still teach privately and group classes, but my focus is on the bigger programs. Am I running my own business? Yes, I have almost always worked for myself. I ran my own studio for 10 years, and now free lance with in the Pilates community. I create my own workshops, retreats and plan out specific training program for my clients depending on their needs and vision and aspirations. 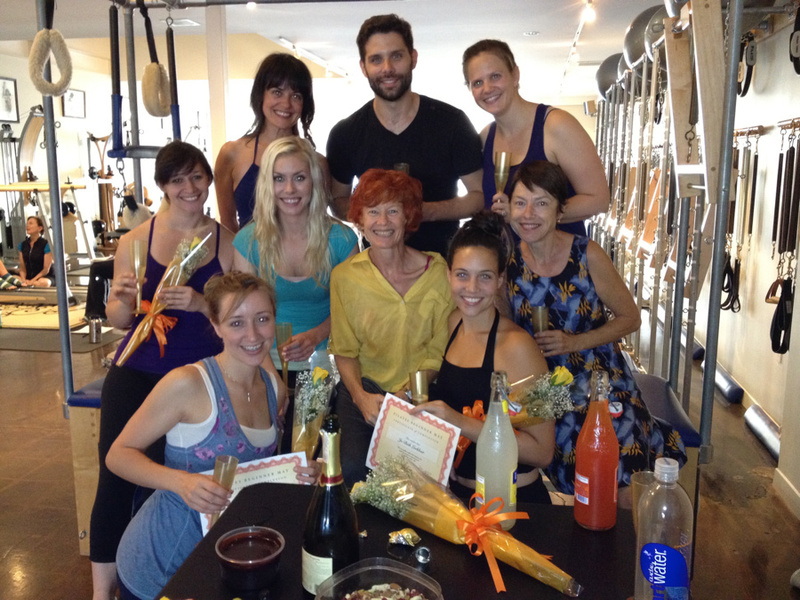 Can you earn a good living as a Pilates teacher and/or Studio owner? It can be done, but needs a whole aspect of business vision that currently I consider is lacking in trainings. All teachers want to earn a living from teaching, but they usually have no concept of what it will take or how to approach offering their services as a business. In my mind, most studio owners work very hard and are quite challenged to be successful, even though their services are excellent. To be successful needs a lot of entrepreneurial vision and sadly I see more teachers fail than teachers succeeding – this is not to say it is not totally possible to run a good business teaching Pilates. I ran my own studio for about 10 years. I loved it during that time. I was very busy with a regular clientele teaching between 30 – 40 hours a week. I was very fortunate as I had excellent word of mouth. I had no idea about marketing or how to expand my business but I was successful. And then I burned out! I was so over worked, tired and bored doing the same thing for many years I needed a change. Do you think that people can become Pilates trainers if they don’t have a fitness background or have been a dancer? There is room for all sorts of trainers, but they need the vision to take their unique assets and gifts and define what they are doing that is unique for them. Yes, I believe as an example ; a well educated 50 year old, over weight lady could work and perhaps develop her own unique approach to working with other over weight ladie. BUT the basic here is that she Must know Pilates well, understands the deeper problems that her public are challenged with and is very clear about how she wants to change their lives. This perspective is never addressed in teacher training. This mindset is found in business training, entrepreneurial programs and branding – very useful information but not part of the Pilates mind set normally. Having this belief system that you need to be a dancer or trainer prior to Pilates is limiting. It implys that the training is inadequate . Logically this means if you need prior training in another arena first, then it is assumed that you wont get all the information in the Pilates training . This may be true, but somehow this can further falsify the concept of what Pilates can and will do for you . Everyone wants the grace of a dancer and the Pilates world markets this grace as due to Pilates! This is an interesting quality I see a lot within our community. When and why did you start practicing Pilates? How did you discover Pilates? Did your background have anything to do with it? I started Pilates in London when I was going to ballet school – I was told to do Pilates to help me get stronger. I apprenticed under Alan Herdman who ran his studio out of the school of contemporary dance at that time. I enjoyed the work but never found it helped my body change. It was only years later when I did the training with Romana Kryzanowska that I found a level and standard of training and focus I felt would change my body and raise my standards fast. I loved this approach Romana had: she was brilliant with the elderly, injured and athletes alike. – her spectrum covered the full gamut of human abilities. How long did you study Pilates? Do you still study the method and do you attend workshops? If so, what was your latest and most favorite one? I started Pilates in the 70, I later reentered this world with focus in 1994 and have had a career from teaching every since. I do watch workshops and will join workshops when I have the opportunity – which is not often. I get a lot of exposure to what people are up to from the Internet. There has always been an antagonistic competitive attitude between schools of Pilates and this I consider both sad and human nature. This surfaces within universities, ballet schools and much of any other type of parallel activities. I am classically trained and love this style, but am aware there are fabulous teachers from other lineages, and some awful teachers within my lineage – I consider the teacher the real factor in education, which should always include – what does the student want to achieve? A great teacher for the elderly from whatever schooling may not be the perfect teacher for someone training for the Olympics! The teacher is senior to the style, with regards to results. Do you ever get bored by Pilates? Have you ever thought that you wanted to quit? Why? After 10 years of teaching privates every day and sharing every possible variation of the exercises I was VERY bored, I wanted out badly – I felt like I was buried alive. I was considered such a success but inside I needed something new to stimulate and interest me. This was the time I closed my own studio and worked for Power Pilates for a while. After two years I left that job and still unclear what my future held, I ended up working at a resort in the Caribbean for 3 years, teaching group yoga and Pilates classes every day as well as privates. I LOVED this new type of challenge. The need to connect swiftly, with a group of people whom I may have never met before, who were of all levels of ability, give them a great class and shift their reality fast was a challenge I thrived on. I wanted them to love the work so much they would leave after their vacation and find a studio to keep moving. When I left, I knew I wanted to create myself differently, keep what I loved which was teaching sharing and exploring levels of ability but in a new way. I did not want to go back to running a studio and functioning out of one location. I was ready to create something totally new. A good teacher will make such an impact on her or his students that they will come back, regardless of the certificate they probably never bother to check out. The cream will ALWAYS rise to the top, so wasting time on people wanting to be experts on the fast track is a none issue in my mind, they will be a momentary flash and then gone – and sad to say, they probably live their WHOLE life on this shallow level for cutting corners. What Pilates apparatus is your favorite and why? Which Pilates apparatus is your least favorite? Do you prefer a certain brand? If so, why? I cannot say I love any piece more or less than another piece of apparatus. I go through phases of practicing on one versus the other – right now I am doing reformer once a week and Wunda chair once a week. I am developing some workshop and filming sequences I want to share so I am exploring the effects and how the nuances will affect what I want to portray. The equipment is a tool for changing the body – not a means in itself. What Pilates exercise is my favorite? Right now I am into the roll up and roll down: spinal articulation in all its forms, as my back is tight and I want to loosen my hips and lower spine – so all forms of spinal articulation are currently part of my daily vocabulary. As a teacher – I don’t have a favorite – it depends on what the student needs. Very basic for me is helping them get an understanding of how to stabilize their trunk and move out from there – different for each student really. Lease favorite exercises? I don’t have any; I like to move too much, so exercises that are hard for me are more interesting. The equipment for me has always been to achieve a result in the body, so if one piece does not do it, another apparatus will. Are you a Teacher trainer? Did you start your own educational program? Do you teach more male or female clients? Are you teaching only trainers or also non-trainers? I teach everybody .I have been teaching for almost 30 years, so I am comfortable with it all, men, women, old young, boot camp, power, tricks, slow unraveling – whatever is needed. For the last 5 years I have been spending more time in front of a computer than in a studio moving and this has messed my body – I tightened up and was shocked to discover how much my mobility and technique had gone down hill. Since the beginning of this year I committed to daily workout, at least an hour, once a day (or more) and I am thrilled to slowly be bringing my body back. I don’t believe age needs to limit us; life style choices are the real culprit. Regarding health challenges, there are other aspects beyond Pilates that MUST be included to raise the bar on your success with physical challenges: diet, sleep stress, focused training addressing the problem joints – to get great results the program must be holistic. Pilates has become much more of an open subject, due to PilatesAnytime and Pilatesology. In the past each school was shrouded in their own secret knowledge and unless you spent time and money studying in their studio you were not allowed to see the “ secrets”. Thanks to the internet all this is now open knowledge and to my mind a much needed improvement – the community is much more respectful and aware of the great work being done all over, and instead of competing and negating – there is mutual respect and appreciation for all the growth Pilates has gone through. Here are 2 tips. Find a teacher your really like, a teacher who makes you feel capable with, who helps your body and mind and is supportive of who you are and what you want to achieve. Be diligent in your own practice, 3 or more times a week will make a big impact on your life and how you look and feel. Advice for future teachers: You MUST gets clear on this question: why do you want to teach? The student teacher should really dig down and figure out why they want to teach? To make loads of $? To challenge people to get into top shape? To heal? To help the elderly? Maybe they want to look like their cute teacher who inspired them? There is no right answer! Once the student gets their unique purpose defined it will help withstand those times when they are facing a group class and have loads of fears and doubts running through their thoughts, They will know what their purpose is when a client is giving them a hard time, and they wont fall apart. Pilates is a system of exercise, developed by Joseph Pilates to help the body re organize into optimal alignment, increase strength, flexibility and coordination. The exercises are done mostly on the back so the spine can relax and lengthened and the optimal truck connection is restored. Exercises are increasingly complex as the basics get implemented. The purpose is to develop a strong healthy coordinated physical condition so other sports or fitness can be explored from an optimum condition. It differs from yoga in that it aligns around the center of the body, the powerhouse, then the extremities, and it is movement base. Yoga aligns from the feet up and tends to focus on a position or shape in space. A good teacher can talk with her clients; listen to what they want and control them so the time in the studio is effectively used to maximize their results physically. To improve as a teacher, find a mentor teacher who is more experienced and ask questions, watch how they solve problems, constantly evaluate your own teaching, what is good? what needs work? And aspire to up grade your weak spots. How many lessons do you teach each week? 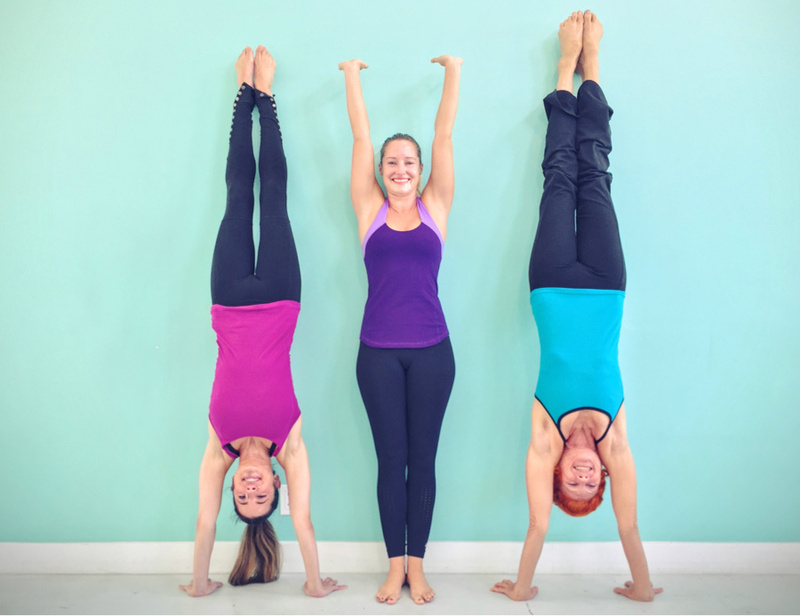 Is your focus more on privates,duets, triosessions, groupclasses or something else? Right now I teach a mix of private clients and group classes (at a variety of studios, part time) I teach about 13 hours a week. How many times do you workout yourself? Please tell us more about your own practice. I work out daily, at least an hour, I do an equipment Pilatesworkout twice a week . I also do yoga, weight training and some gymnastic conditioning and flexibility training. I have very specific goals and my workouts are focused to support them. Will you keep on practicing and teaching Pilates? What is your (Pilates) dream and your goal in life? You are as young as your spine is flexible, you can be old at 30 or young at 60 depending on your spinal flexibility. Do you follow a certain diet, like a plant based diet or something else? If so, tells us more about it! I am vegetarian and am currently eating no grains, not sugar and no lactose – I feel wonderful on this diet – loads of vegetables fruit some goats cheese. I love eating. The boundaries give me the freedom to feel great. I know what I will and wont eat so my life is made easy. I have loads of energy, my joints are revialising and my energy is high. I love the archival book on Joe Pilates – it is not in print right now, as the photos are awesome, many funky wild exercise that Joe taught that I have not seen in studios – I have gone through that book and tried to copy many of them, just for the fun of getting inside his head.